Join the global conversation in a new tongue. Study historic texts and literary works in their original language. Explore opportunities that will allow you delve into the depths of francophone countries and cultures. Be prepared to excel in an increasingly globalized world. In our intimate class settings, you will do more than develop language proficiency. You’ll also enrich your cultural competencies, engage your critical thinking, sharpen your oral and written communication skills, and expand your knowledge about different ways of thinking. The cross-cultural mindset you’ll gain will carry you a long way — quite literally. Your French degree will lead to higher performance in all job markets, create opportunities for service or advanced studies around the globe, and open the door to an international career. If you studied French in high school and intend to continue your studies at Lipscomb, we require a language placement test prior to registering for classes. The French that we find in grammar textbooks and literature is often not quite the same French that is spoken in daily life. 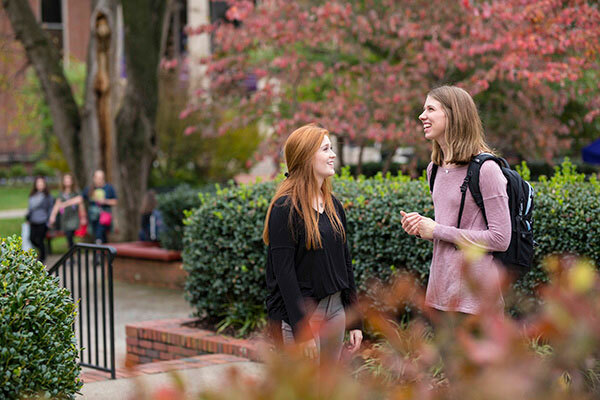 At Lipscomb, we offer the traditional topics that are a part of a classic French education (reading Les Misérables in French, understanding the context of the phrase translated as “Let them eat cake!”, and discovering why French and English have so many words in common), but we also offer practical, fun courses like French Conversation where students learn how to use slang, fall back on verbal fillers, tell a funny story, and much more. Every French course at Lipscomb is infused with opportunities to talk, listen and write with a variety of audiences in mind and is designed to exercise your creativity. French Teaching: French teaching majors have the opportunity to build language proficiency while also developing expertise in teaching language to others. With a contemporary approach to language instruction, our students learn how to give quality input in the target language (known as Comprehensible Input) and to design activities that require meaningful interaction. We believe teaching is a creative endeavor and we prepare our students for the language and practical demands of the profession. 1. Global Education Oregon offers students a diverse range of opportunities suited to their interests and fields, including programs like Cross-Border Interviewing and Story Development in France; Exploring Identity, Place, and Representation through the Arts in Aix-en-Provence; and an exchange with the renowned Sciences Po in Paris. 2. In the summer, Lipscomb students have the opportunity to study at the Centre International d’Études Françaises in Angers, France. As a full-immersion experience, students are placed with a host family while taking classes in French at the Université Catholique de l’Ouest (UCO). Weekend excursions include Mont St. Michel, the chateaux de la Loire, the D-Day beaches in Normandy, and more. UCO is approximately two hours from Paris and regularly enrolls 12,000 students, including 1,500 internationals who come each year to study French. Before registering for any French class, students with previous study in French (high school or college) must take the department's computerized placement test. This test, which takes approximately 20 to 30 minutes, will determine the proper level for which the student should register. Note: For students who have AP or CLEP credit in French: at least six hours of the minor must be taken in Lipscomb coursework. Standard tuition rates apply. Financial aid is available for qualified students. Additional scholarships for recent graduates or for new teachers are offered through the ACTFL (American Council on the Teaching of Foreign Languages) website. Post-graduate teaching scholarships: Lipscomb students qualify to apply for several scholarships through the Alliance Française of Nashville and to work as teaching Ambassadors in France through the French Embassy.